San Francisco, CA, September 8, 2015 – VIZ Media, LLC (VIZ Media), the largest publisher, distributor and licensor of anime and manga in North America, prepares fans for the final home media installment of the celebrated gender-bending martial arts action comedy based on the popular manga series created by Rumiko Takahashi as it announces the release today of RANMA ½ Set 7. VIZ Media has released the entire gender-bending martial arts action comedy in its original Japanese series order across seven Limited Edition Blu-ray and Standard Edition DVD Box Sets. RANMA ½ is rated TV-14 and is based on the popular manga series originally created by Rumiko Takahashi. The RANMA ½ Limited Edition Blu-ray Box Set 7 carries an MSRP of $54.97 U.S. / $63.99 CAN. The final set of the series contains Episodes 139-161 on 3 discs, presented in full 1080p high-definition resolution with the series’ original, uncropped 4:3 aspect ratio. Subtitled and English dubbed dialogue options are available. The Blu-ray edition also contains a full color art card and a 32-page booklet with individual episode summaries. 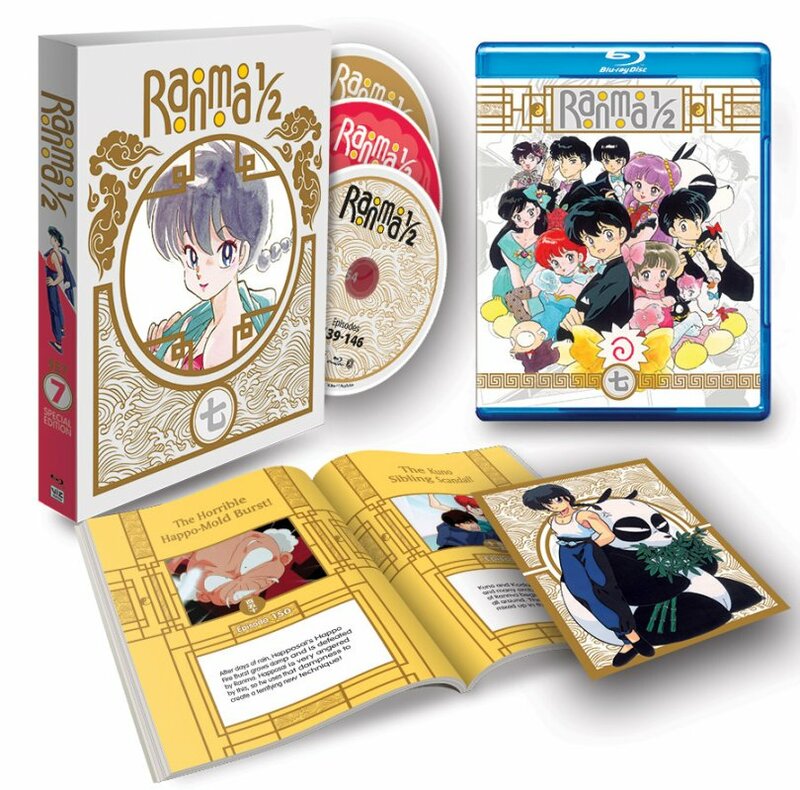 Blu-ray bonus features include clean openings and endings as well as series trailers and the concluding installment of “We Love Ranma Part 8 – We Love Rumiko Takahasi.” The set comes in a gorgeously illustrated chipboard box with embossed foil stamping. The RANMA ½ Standard Edition DVD Set 7 also features the final 23 episodes with the original, uncropped 4:3 aspect ratio, with bonus features that include clean openings and endings and trailers. Subtitled and English dubbed dialogue options are available. The Standard Edition DVD set is available with an MSRP of $44.82 U.S. / $51.99 CAN. The madcap days of martial arts mayhem comes to a thrilling conclusion in the final set of RANMA ½! Ranma is challenged by Ryoga to fight yet again, but this time he is completely defeated by Ryoga’s new technique, the “Lion’s-Roar Blast.” It is said that the more miserable the user, the stronger the technique becomes – does Ranma have a chance against the tragic Ryoga?! Then, Ranma must master martial arts cheerleading, but in order to win, he is going to have to cheer up Upperclassman Kuno! Finally, Ranma’s mother at last comes to the Tendo Dojo, but why is Genma doing everything he can to stop Ranma from meeting her? Akane feels sorry for Ranma, who barely remembers his own mother, and forms a plan to bring them together. For more information on RANMA ½ or other award-winning anime titles from VIZ Media, please visit www.VIZ.com.